Twenty-one years ago Strewn opened its doors in what had originally been the site of the Niagara Canning Company. From the very beginning our focus has been on Bordeaux-style reds, creamy Chardonnays and fresh aromatic whites. Today our production is much larger but we have the same commitment to quality as on day one. Year in and year out the Home Farm Vineyard in Niagara-on-the-Lake gives grapes with wonderful fruit-forward flavour. Careful vineyard management ensures the best possible quality regardless of the vintage. Winemaker Marc Bradshaw crafts quality wines that reflect the terroir and showcase both varietal nuances and vintage variation. We continue to make age-worthy Terroir (reserve) red wines only in years when the grapes are intense with ripe flavour and firm tannins. In the past year we introduced a selection of Distinctive Small Lot Wines with production of less than 100 cases and in some cases only a single barrel. In spring 2018 Strewn opened a new Private Tasting Room offering 40-minute seated tastings led by our estate sommelier or a senior wine educator. By appointment tastings can be booked online at strewnwinery.com. Strewn’s emphasis on wines with structure that pair well with food is a perfect fit with the Wine Country Cooking School, located within the winery. Its hands-on classes for recreational cooks promote the relationship between food and wine through recipes featuring seasonal ingredients. Strewn is also home to OLiV, a full-service restaurant open for lunch, tapas and dinner. Marc Bradshaw was born and raised in Australia where his interest in winemaking was piqued during his PhD thesis on a wine-related topic. During and after completing his studies he worked at wineries in France, Germany, South Africa and Australia. In 2004 Marc arrived in Niagara for what he thought would be a few months but grew to love the region and the wines. 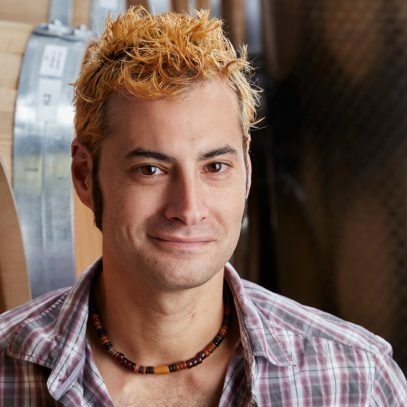 Seven years ago he joined Strewn working with president and founding winemaker Joe Will. Marc took over the wine making reins completely the following year. In 1995 a 2.5 acre block of Chardonnay was planted on the Home Farm vineyard where the soil ranges from sand to heavier clay with excellent drainage. The vineyard is on the edge of the most intense lake effect area. It tends to be warmer in the summer and consistently provides fruit with full maturity. Grapes are picked when physiologically ripe and show the terroir and the balance of fruitiness with minerality. 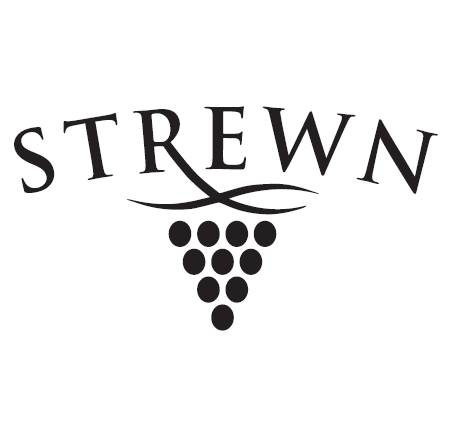 Strewn makes true barrel-fermented Chardonnays to integrate the Chardonnay flavour from the vine without being overpowered by the oak. The wine is put through malolactic fermentation while still in oak to add to the creaminess and complexity. It is left for 10 months in barrel with occasional battonage to add to the richness and flavours. Each of Strewn’s three reserve Terroir Chardonnays is fermented exclusively in one type of oak (Canadian, American or French). The 2016 Terroir Chardonnay French Oak, which will be released in conjunction with i4C, won a Silver Medal at the 2018 Chardonnay du Monde International Wine Competition. A limited quantity of the 2013 Terroir Chardonnay American Oak which won a Gold Medal at the 2015 Sélections Mondiales des Vins Canada will be re-released during i4C.